Click the gray button labeled “Add Photo”. 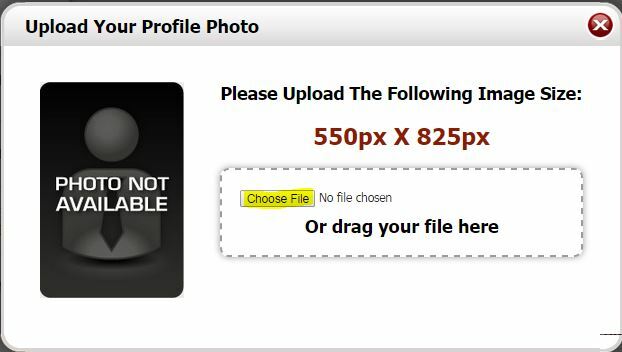 Click the “Choose File” button and select your agent photo from your computer. The ideal photo dimensions are 550×825 pixels. A smaller photo will look ok on your property website, but you may see poor photo quality if you use our high resolution flyers. If you are replacing an existing agent photo, you may need to clear your browser’s cache (temporary internet files) to see the change.